As the latest soca music blares out from huge speakers at popular Trinidad nightspot Smokey and Bunty's, one song stands out more than most. It begins with a voice saying: "Hello Suzy, I have your $100 phone card here for you." Then it launches into an unlikely tale of a man being pursued by a woman who only wants him because he can afford to subsidise her mobile phone habit. Phone Card, by veteran performer Crazy, is one of the most controversial new tunes in the run-up to next month's Trinidad and Tobago carnival, because of the double meaning in its lyrics. The Trini tendency to pronounce the word "for" as "fuh" means that the song's seemingly innocent refrain, "She only want me fuh card", ends up sounding blatantly sexual. The tune has already made its mark in the charts published in two newspapers, the Sunday Punch and the Bomb. The only thing is that there is no legitimate way of buying it at the moment. If you go into one of the rapidly dwindling local record shops and ask for it, you will be sadly disappointed. Yet the main shopping area in central Port-of-Spain is full of street vendors with illegal copies. From a cart behind a truck parked in Charlotte Street, a man is selling a range of CDs in slimline cases with badly-photocopied covers. The music on view is all reggae, dancehall, R&B and rap. But in response to the question, "You have any soca? ", he pulls out another set of discs hidden in a black plastic bag. They turn out to be home-made compilations featuring Crazy's tune along with other new sounds from local artists - proof that Trinidad's record industry has been all but overwhelmed by the music pirates of the Caribbean. Trinidad and Tobago's local music business revolves around the annual carnival, with new soca and calypso releases supposedly scheduled to reach retailers in time for February's festivities. But with CDs often manufactured in the US or Canada, many of the most popular songs are not properly available until the last minute. In fact, some do not hit the stores until long after that year's influx of foreign tourists has flown home. However, promotional copies are sent to radio stations and to the major carnival bands. From there, they leak out to the pirates, who burn them on to blank CDs. Every year, the local music industry body, the Copyright Organisation of Trinidad and Tobago (COTT), prosecutes a number of street vendors after a series of high-profile police raids. In the most recent operation, on 28 December, 40 people were arrested and charged in six different locations. Enrico Camejo, who has run COTT's anti-piracy efforts for the past three years, estimates that the sale of illegally-copied music costs the country's music industry up to $2.4m (£1.2m) a year - a big deal for a small Caribbean economy. He explains that for legal reasons, COTT can only bring criminal prosecutions when the music being sold is local, although it is possible to seize and destroy counterfeit CDs of other music. The organisation cannot represent international copyright holders in criminal cases, only its local members - which is why the pirate vendors keep the soca CDs under wraps at first. "The pirates don't blast the local music as much," he says. "They've been told by their lawyers - imagine, pirates have lawyers! - so they're not afraid to expose the foreign music." The potential punishment for music piracy in Trinidad and Tobago is certainly strict enough. Each count of copyright violation carries a maximum penalty of a $100,000 fine in local dollars ($16,000; £8,000) and 10 years' imprisonment. However, you have to catch the pirates first. COTT's Mr Camejo admits that police constables taking part in an anti-piracy raid are only told about it on the day, for fear that they will tip off the vendors if given advance notice. "In every country, there's corruption in a force," he says. Mr Camejo describes music piracy as a "plague" and harbours no illusions about being able to stop it: he aspires only to "keep it to a minimum". 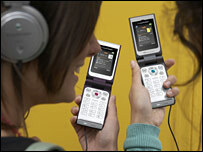 But counterfeited music is not only easier to find, it's also cheaper. A pirate CD bought on the street costs the local equivalent of $3.20, as against $16 for the genuine article. Meanwhile, the pirates have a new tune to sell. This one begins: "Crazy! Suzy say de $100 card you send for she missin' a zero - was a $10 card." Yes, the self-explanatory Phone Card Reply, by the previously unheard-of Silver and Impulse, seeks to mock Crazy's sexual braggadocio. Far from being a great lover, says this female-sung riposte, "he clock always readin' half past six and he flashlight always dim". This new song is being spread by yet another illicit medium, the internet download. 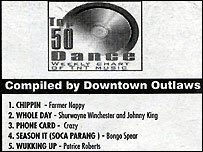 It is already featured on a wide number of music blogs and other sites dedicated to Caribbean music. 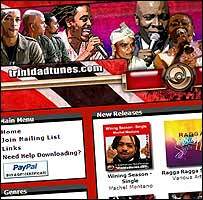 Fortunately, there are also authorised ways of obtaining soca music online. New site trinidadtunes.com bears COTT's stamp of approval and offers more than 5,000 songs for download at 99 US cents each, including one or two of those elusive tunes not yet available in the shops. But with wireless-enabled music phones now as popular in the Caribbean as anywhere else, Trinidad and Tobago's music business will have to act fast to avoid losing that market to pirates as well. 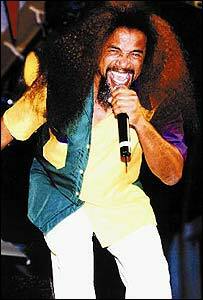 As one Trini blogger puts it: "The cry when you hear a good song is no longer, 'flash up unno lighter!' It has become: 'Turn on yuh Bluetooth! Ah ha' to get dat tune!'"